In a fit of cliche-ridden inspiration, I came up with this idiotically named feature! In it, I recommend a movie to check out, and one to avoid at all costs, brashly assuming that you care about what I think. The best part about it? It rhymes! Lord Jesus, it rhymes! There’s been a significant amount of buzz surrounding this eco-spy documentary, and rightly so. Director Louie Psihoyos and his team of special ops vets, deep divers, Industrial Light & Magic employees and concerned activists attempt to get irrefutable footage of the slaughter of dolphins that occurs in a heavily guarded cove near Taijii, Japan. This mission ends up having more heart-stopping moments than your average Hollywood shoot-em-up, as the team slowly infiltrates the area, planting cameras disguised as rocks, underwater audio recorders and other such high-tech gadgetry. 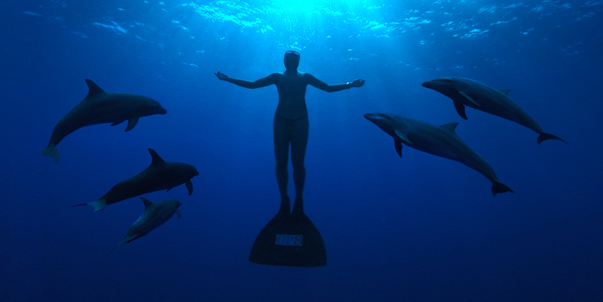 Just as enthralling is the story of Ric O’Barry, whose experiences as the former dolphin trainer on the TV show Flipper led him to become one of the most prominent “save the dolphins” activists in the world. The last half-hour of The Cove is horrifying to watch, whether you’re interested in animal rights or not. You can normally count me as the latter, but as the credits rolled, the pull to help put an end to this atrocity was very real. If it wasn’t obvious already, this seals it – Terry Gilliam has gone off the deep end. The copiously talented director loves to position himself as an industry-bucking maverick, an artist perpetually in the crosshairs of the filmmaking establishment. But after watching his 10th film, The Imaginarium of Doctor Parnassus, it’s clear that the man needs to bring Gilliam down. Or at least forbid him to have any part in screenwriting (this was co-written by Gilliam and Charles McKeown). 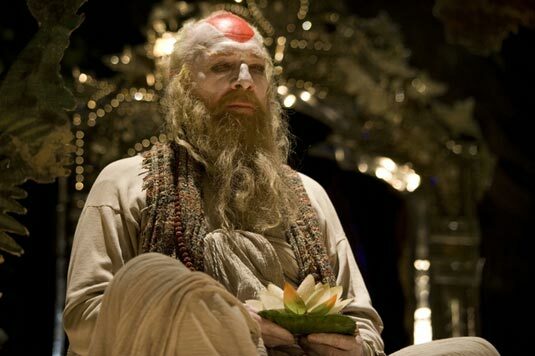 The movie starts off interestingly enough, introducing the main character, the immortal, shaman-like Dr. Parnassus, who due to modern belief systems is relegated to a traveling sideshow on the streets of London. He can’t help but place bets with the devil (deliciously played by Tom Waits), even when they involve his daughter. When his troupe discovers Tony (Heath Ledger in his final role) hanging from beneath a bridge, and he spits out a golden pipe when revived, the groundwork has been laid for one of Gilliam’s gorgeous, twisted fairytales. But from this point on, Parnassus is an unintelligible mess. The director abandons pretty much every semblance of the story, putting all his energies into the fantastical, Lewis Carroll-ish worlds that curious Parnassus audience members get to experience. And as wonderful as these dreamworlds look, there’s no plot to make them relevant, turning The Imaginarium of Doctor Parnassus into an unimaginative, half-baked nightmare.